It’s said that artists and writers use their daily experiences when they create. If that’s the case, I have no idea how I come up with this stuff. 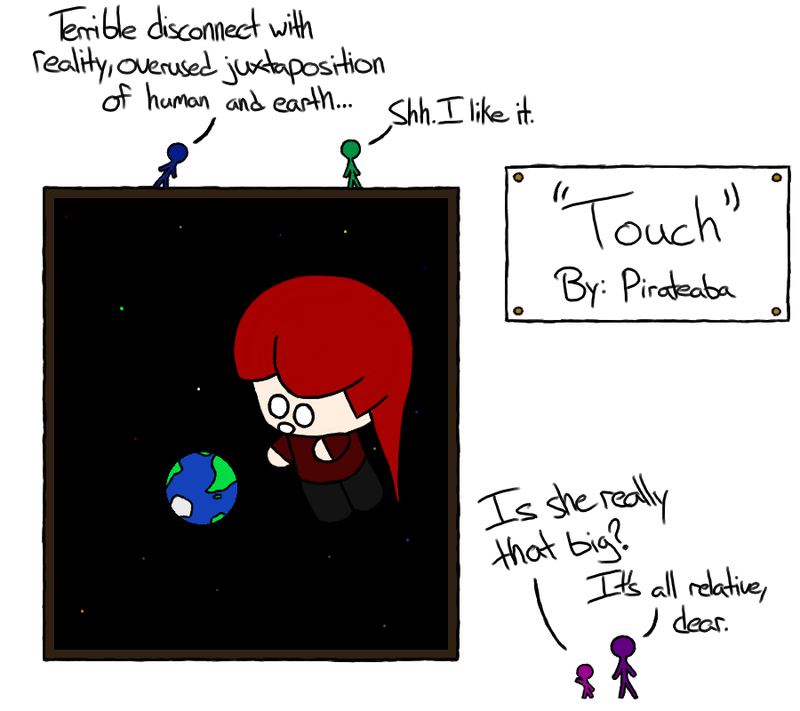 It just pops into my head and I have to draw it. Don’t ask because I can’t explain. Something quiet today. Without words, text, or anything to distract from the scene. I think these are the moments Knight and Pirate appreciate the most. It’s a nice day for once. 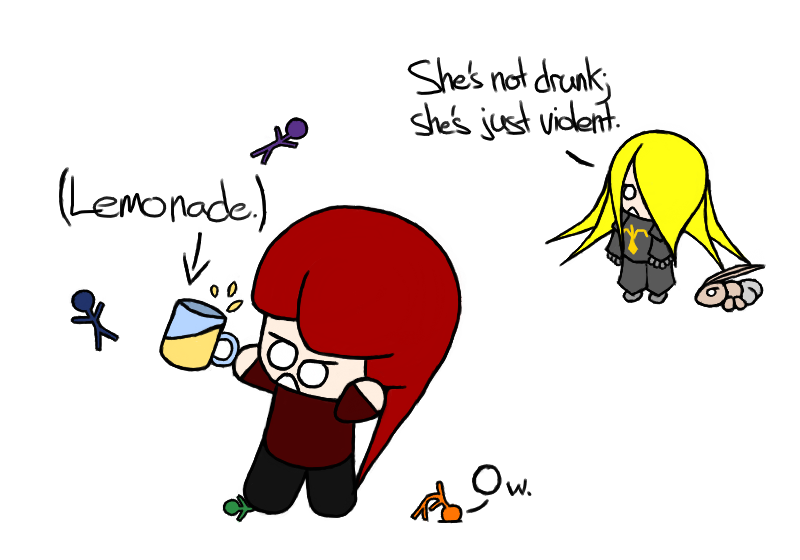 I don’t really drink that much unless you’re talking about juice and not alcohol. 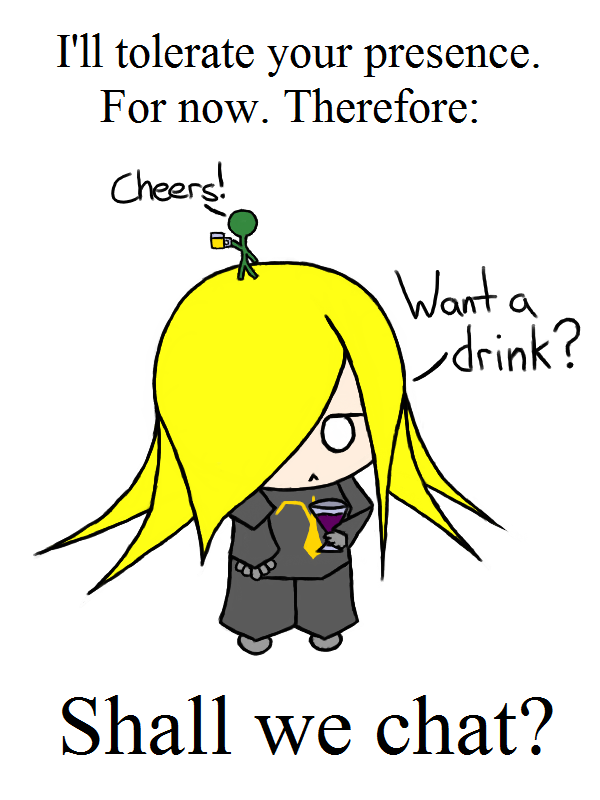 But I always wonder what kind of drunk I would be. With Pirate, I don’t need to guess. She’s mean even when she’s sober! How do stick people exercise? 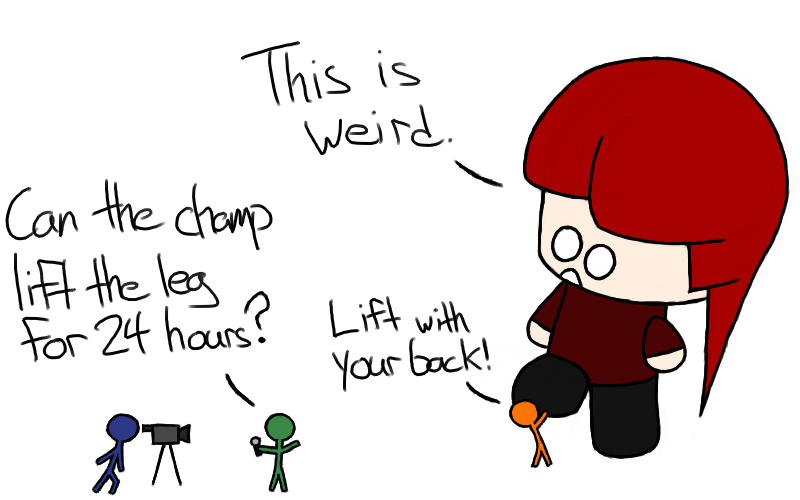 When you’re small, stuff like weight-lifting could be a lot more interesting. I just wonder why Pirate would be willing to stand in one place for 24 hours. They’re probably bribing her with apples. Try not to squash him, Pirate! What kind of bait do you use? I generally prefer the type that fights back. Well, this is essentially the extent of my angling knowledge. 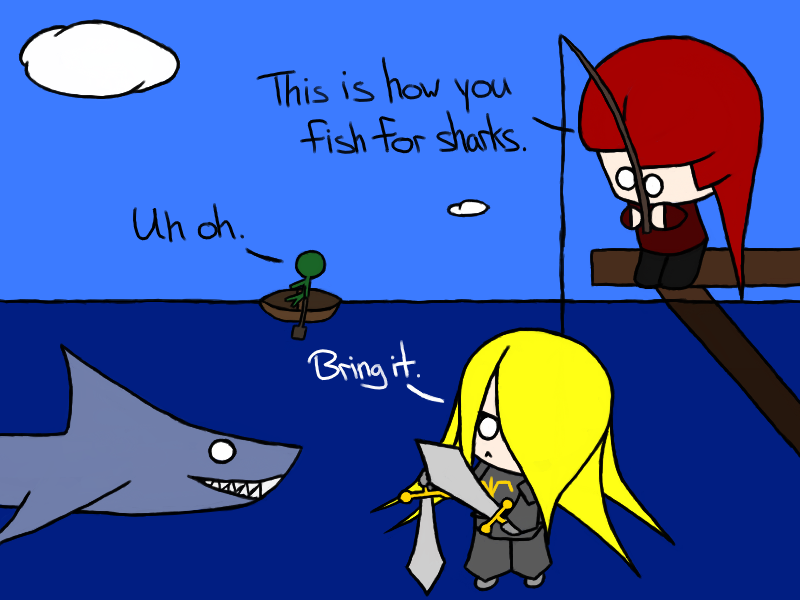 Anyways, my point is…don’t fish for sharks unless you have a sword? Huh. This one’s dedicated to the guardians of knowledge, and enforcers of silence! I also wonder how many weird questions librarians have to answer like this one. 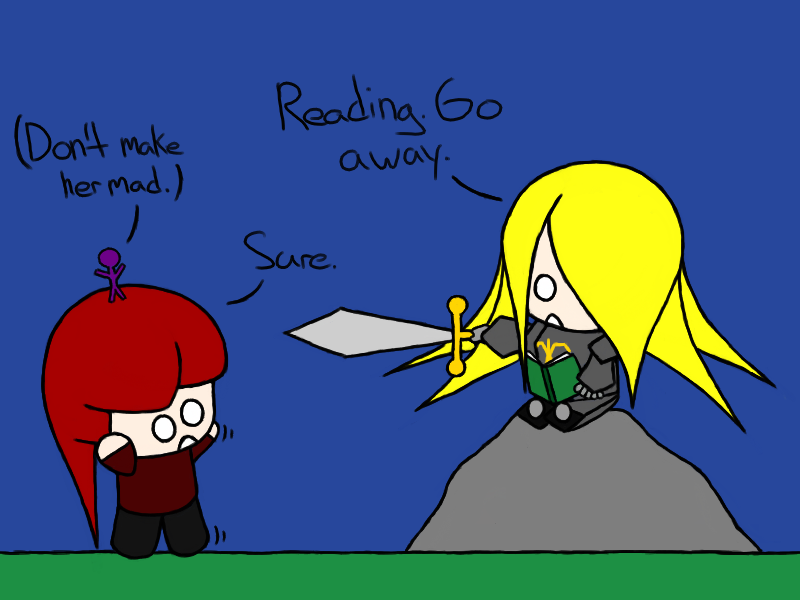 Anyways, don’t mess with the book keepers! 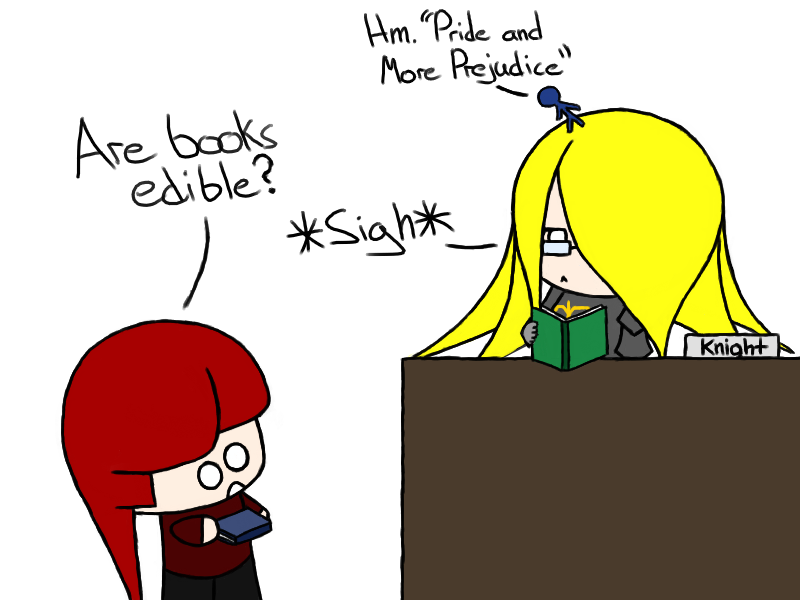 Pirate’s gonna get her library card revoked. I like books. I like reading. I (generally) like people. But disturb me when I’m reading a good book and there will be blood. This picture is dedicated to all those who still remember what holding paper feels like. It’s snowing again. Well, it’s closer to hail in point of fact. But thanks to Knight’s new snow-clearing technique, I think it’ll warm up pretty soon! 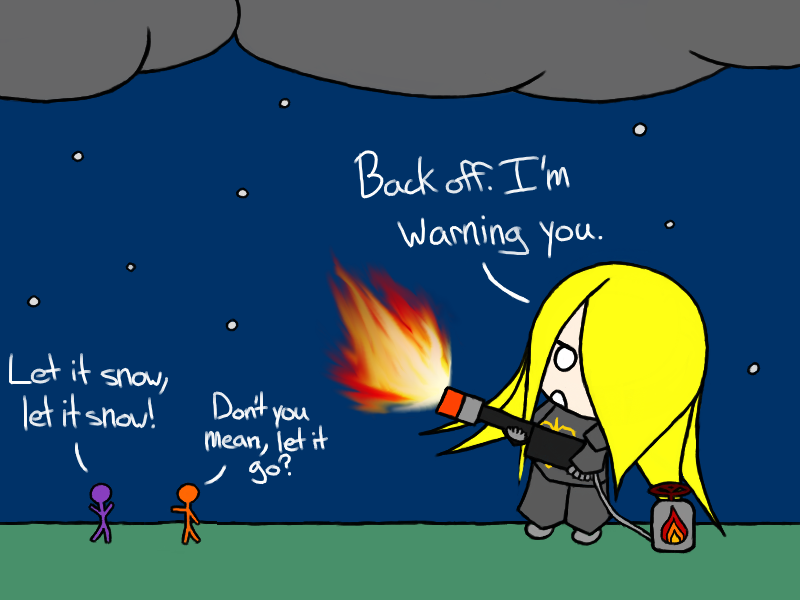 I want a flamethrower. Do you know much about art? Well, there’s nothing more to be feared than those who believe they do when in fact they don’t. A bit existential, this picture. Is it a painting of Pirate or Pirate herself? Is the drawing drawn to satirize or realize? I stopped making sense long ago. Two pictures for you today! Have you ever wanted privacy but had a hard time telling people to go away? 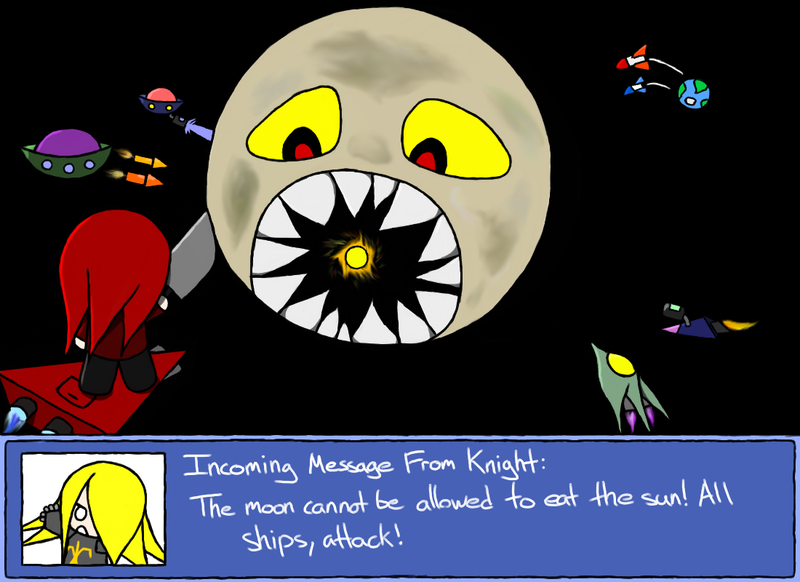 Look no further than this custom Pirate-Knight picture to let people know when their presence is welcome, and when you want to be left in peace! 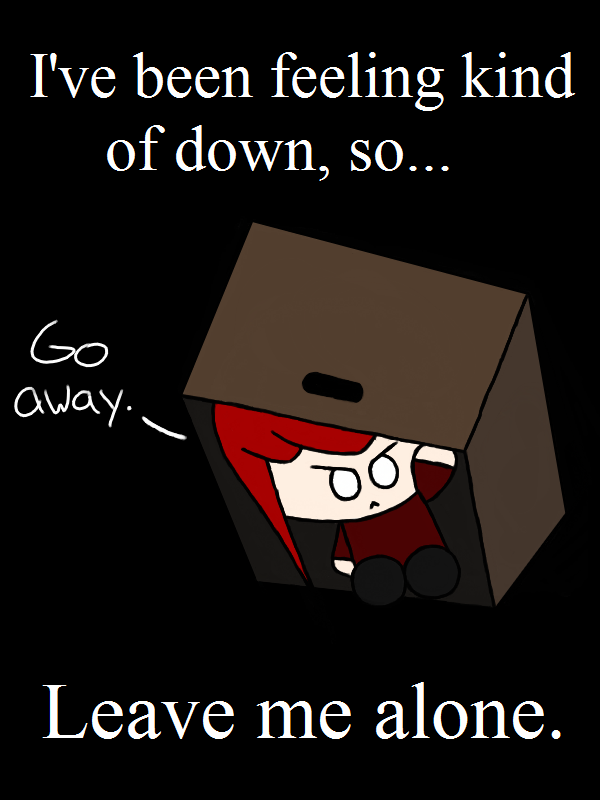 Back off, she’s got a box!